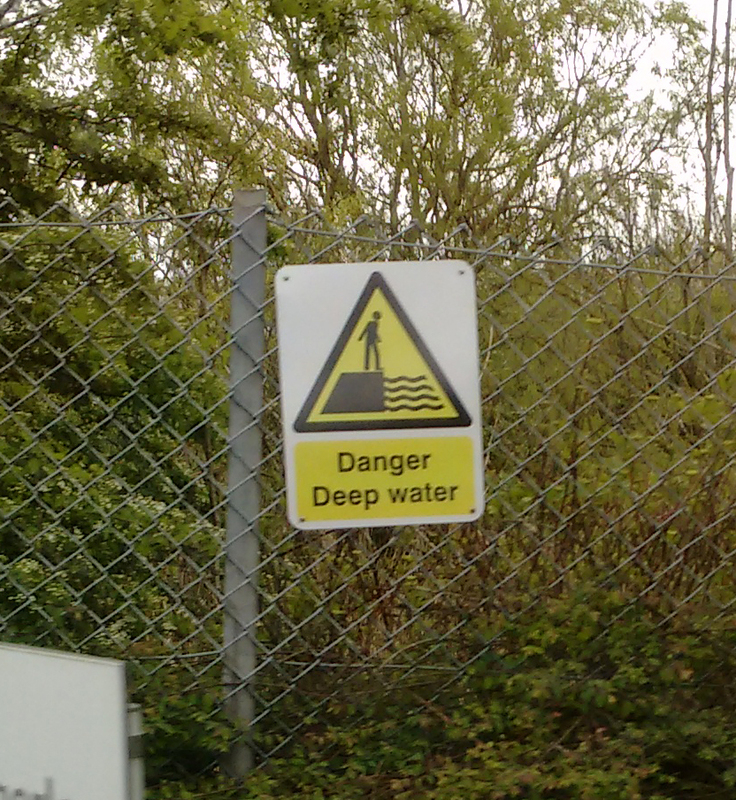 Today’s picture was one of a series of warning signs on a fence at the interchange park. I guess that’s sort of like a strip mall? That doesn’t feel like the quite right analogous term, but anyways. I saw it as I always do when we’re slowly cruising looking for a parking spot, and it was the most vaguely interesting non-kid photo. So yanno, don’t climb the fence and frolic in the deep water, folks. I have to say, I’m well pleased that I made it around in better shape than the kiddos. They were both flagging hard, but I guess I had put enough thinking about it in before doing it to enable me to get-r-done. I’m completely wiped out now and will probably sleep like the dead tonight… and probably feel even worse tomorrow for it. Ah well, I think it was worth it for a nice little wander about outing with the family. I guess that’s about it. I’m sort of surprised that I managed to squeeze this many words out, ha ha. All Aboard the Free Meal Train!